Named Entity Recognition The Name Finder is used to detect entities like a person, location, date, money, organization time and date in the text. These entities are detected using trained model. The model is specific to the language and entity type. 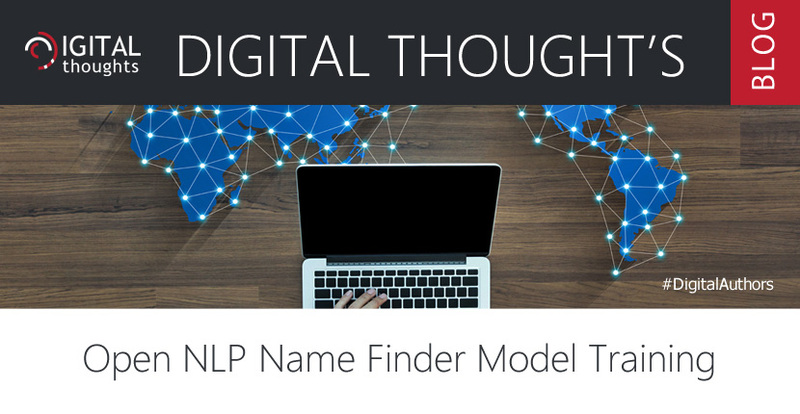 The Open NLP provides following pre-trained name finder models. These are trained on various freely available corpora. To detect custom entities from Name Finder APIs, we have to train the models for requires entity and language specific. Open NLP provides command line tool to train the models. To train the model we have to provide the data in Open NLP name finder training format, which is one sentence per line. We can use other format also to train the model, the sentence must be tokenized and contain spans which mark the entities. Documents within train file are separated by empty lines which trigger the reset of the adaptive feature generators. <START:disease> Cancer <END> is the uncontrolled growth of abnormal cells anywhere in a body.These abnormal cells are termed <START:disease> cancer <END> cells, <START:disease> malignant <END> cells, or <START:disease> tumor <END> cells. Additionally it’s possible to specify the number of iterations, the cutoff.